Please meet our Chief Executive Officer, Dhivya O'Connor, and the rest of our dedicated team. Our small team is united by a common goal – to save and improve young lives and keep their families together. Our trustees ensure that we always have a clear strategy and set of goals in place ensuring that we're working towards a united and shared goal of fighting childhood cancer. Our scientific advisory panel offers comprehensive scientific guidance that is vital in the fight against childhood cancer. You can find out more about our panel here. Dhivya joined in July 2017 from The Prince’s Teaching Institute, where she spent seven years building up and establishing the Fundraising department. Dhivya has extensive experience with HNWIs, Corporates and Development Committees. Prior to this, Dhivya spent 10 years in commercial and strategy/business development roles. Jason’s role at Children with Cancer UK as Director of Fundraising & Communications, is to lead and inspire. His team consists of Communications, Individual Giving, Sports, Events, Corporate Partnerships and Philanthropy. We work toward our vision and ensure our strategy and fundraising goals are aligned to the aim of the charity. Ken has over 20 years' operational experience across the Charity, Public, Corporate sectors. Ken's role at Children with Cancer UK as Director of Operations, is to lead the overall smooth running and compliance of the charity, and to streamline operations and technology. His team consists of Human Resources, Facilities, Information Technology and Supporter Care. Lorraine recently joined the charity in March 2018 as Executive Assistant. She brings with her a wealth of experience as an Executive Assistant having worked in the corporate and private sectors in Bahrain, Hong Kong, Bermuda and Dubai. Sharon joined the charity in April 2014 after working with Deloitte for 10 Years. She is the personal assistant to Director of Fundraising and Communication and Director of Operations. Pippa is our longest serving member of staff and has been part of our team since 1989 – just a year after we were founded. She has undertaken almost every role and is now responsible for ensuring great stewardship across the charity. This is done by maximising fundraising leads and ensuring fundraising activities are legally compliant. Gary was welcomed back in to the team in May 2013. He previously worked for the charity from 2003-2008, as our first employee in the Finance Department. He has also previously worked in the private sector. Gary is responsible for the day to day activities in the finance department and general office duties. Camelia joined the team in December 2004 and plays an important role in ensuring our supporter databases are accurate and updated. Emily joined in 2012 after graduating with a degree in Events Management at the University of Greenwich. She is responsible for managing and developing our sports events and community fundraising. Hannah joined Children with Cancer UK in April 2018 after working for a number of years in the private sector and more recently for 4 years at the charity for The Royal Parks. Her role is to lead the marketing and communications team to help raise awareness of childhood cancer and the life-saving research that we fund. Hannah is inspired every day by knowing that we are here to help save the lives of children with cancer so that more families can stay together. Denis Henshaw, formerly Professor of Human Radiation Effects at Bristol University, has wide experience in environmental factors affecting childhood cancer risk. Denis works with the charity’s Scientific Advisory Panel to award funding for high-quality research into the causes, prevention and treatment of childhood cancer. Nick has a long link with the charity from his time on our Scientific Advisory Panel; he took up the role of Medical Research Director in 2016 on retiring from Great Ormond Street Hospital. He is working with the Scientific Advisory Panel and the staff team to maximise the positive impact of our research funding. Joseph joined the Charity in October 2016 to manage fundraising from Trusts and Foundations and is now responsible for managing the administration of our medical research grants, which can total over £5million per year. With over seven years’ experience in the sector, he has worked for charities including Macmillan Cancer Support and Girlguiding. Jag joined the team in May 2018 and has worked in the charity / voluntary sector for 19 years. She has worked at RSPCA, RNIB, Parkinson’s UK, Prostate Cancer UK and Samaritans. She is responsible for ensuring the Individual Giving programme is delivered successfully. Samantha joined the team in October 2016, having previously worked in Direct Marketing at Barnardo’s and The Lullaby Trust. She is responsible for managing cash and raffle appeals, digital activity and legacy marketing. Lulu joined our team in June 2017, having previously worked in the Direct Marketing team at VSO. She is responsible for a range of supporter engagement activity within our Direct Marketing team. Fabiha joined the team in October 2018, having previously worked in the Direct Marketing team at Unicef UK. She is responsible for managing cash appeals, as well as the SMS and email programmes. Valbona joined the team in February 2019, having previously worked at Amnesty International Australia. She is responsible for different supporter acquisition activities within the Direct Marketing team. Alan joined the charity in 2007 bringing over 20 years of experience gained with charities such as Age Concern England and the Bible Society. He is responsible for providing valuable support to the DM team. Fiona joined the Direct Marketing team in 2007 and is now responsible managing our Supporter Care Team. She previously spent six years in the retail industry and three years in customer service. She was inspired to help our cause after a family member survived childhood leukaemia. David joined in May 2015 after working in supporter care roles at Battersea Dogs and Cats Home and the Ramblers. David manages the day to day operational function of Supporter Care and offers help and advice to our supporters. Kemi joined in March 2018 after previously working in the retail industry. She helps our supporters with any questions they have about the Children with Cancer UK and general administrative duties for the Supporter Care Team. Rina joined in July 2018 after previously working for The National Deaf Children’s Society in Supporter Care. Rina helps with questions from supporters about the charity and carries out general administrative duties. Yvonne was undergoing treatment for Acute Lymphoblastic Leukaemia when she started as a volunteer in March 2006. Having made a full recovery, she has worked on a number of campaigns over the years including looking after our community fundraisers, the annual Ball and numerous challenge and sports events. She now looks after our prestigious London Marathon team providing fundraising support, advice and guidance. Jon joined the Sports and Community Events Team in October 2018. He previously worked at the Christie Charitable fund and Tommy’s the Baby Charity. He’s now been involved in sporting events for over 5 years. Donna joined the team in 2018. She has previously worked in the transport industry and fashion. Donna is responsible for managing the Corporate Team. Imogen joined as Corporate Partnerships Manager in June 2018 after working in the Sports Events and Community Fundraising team for Children with Cancer UK since August 2017. Imogen will be working closely with our corporate supporters of the charity as well as developing new relationships. Imogen has previously worked with the corporate supporters of Heads Together, the mental health campaign spearheaded by The Duke and Duchess of Cambridge and Prince Harry. Dionne joined our team in March 2019 as a Corporate Partnership Coordinator. She recently finished a contract with a not for profit organisation, Give a Car, who work closely with Children with Cancer UK and 100's of other UK based charities. Brittany joined us in September 2018 and has stepped into the role as corporate partnerships coordinator. Brittany has moved her life from Western Australia to the UK bringing with her a passion for charity and community fundraising having experience in raising funds for Multiple Sclerosis research in Australia. Jen graduated from King’s College London in 2017 and after a three month internship at the charity Oasis, joined Children with Cancer UK in January 2018. She recently moved into the Sports Events and Community Team as the team fundraising assistant. Zoe joined the team in July 2018 as the Sports and Community admin intern as part of a placement year at University where she studies Events and Marketing. Jai joined our team in July 2018 and is responsible for working on our major events including Vitality 10,000. He previously worked for Prostate Cancer UK and National Hindu Students Forum (UK) before joining our team. Aneeka joined the Sports and Community Events Team in October 2018. She did a three month internship at Cancer Research UK, before moving to the Sports Team at Macmillan Cancer Support. She now provides support to our Virgin Money London Marathon team as well as other running events. Gemma joined us in September 2016 and is now responsible for recruiting and providing support to our community fundraisers. She has previous experience working in the charity sector for Marie Curie and ZSL. Ashleigh joined in October 2014 as part of the Supporter Care team. As of June 2015 she joined the Sports Events Team where she recruits and provides support to participants whilst also responsible for a number of major sports events. Claire joined Children with Cancer UK in October 2018 as Regional Fundraiser for the South. Claire will be working closely with our incredible supporters throughout the South of England, offering fundraising support, advice and guidance to anyone looking to support the charity. Claire previously worked as a Fundraising Manager at her local Hospice and before that, for the Cystic Fibrosis Trust as a Community Fundraiser. Amy joined the team in February 2019 as Regional Fundraiser and will be working with those amazing people who are supporting the charity in the North of England. Amy was previously a Community Fundraiser for Alzheimer’s Society and before that worked in the Sporting Events Team at The Christie Charity in Manchester. Hannah graduated from University of Ulster in 2015 and previously worked in the charity sector in Northern Ireland. She joined the Children with Cancer UK team in February 2019 as Regional Administrator. Hannah will be working closely with all Regional Fundraisers, dealing with enquiries and assisting with larger projects within the team. Natasha joined the team in February 2019 and is responsible for events such as the Great North Run and Tough Mudder. She previously worked at Ronald McDonald House Charities as part of their challenge events team. Daniel joined the team in March 2019 as Regional Fundraiser and will be working with the wonderful people of the Midlands who are supporting the charity. Daniel was previously a Client Services Manager for the PDSA Pet Hospital in Leicester and before that worked in the NHS, British Red Cross and the British Museum in London. Elouise joined Children with Cancer UK in February 2019 as Regional Fundraiser for the South West of England and Wales. She previously worked for Cancer Research UK and Helen and Douglas House Hospice before joining our team. Elouise will be offering fundraising support, advice and guidance to anyone looking to support the charity. Stephanie joined the charity in September 2016 after working at the RSPB for two years as part of the London events team. She helps to organise the charity’s events throughout the year including The Children with Cancer Ball and the amazing day out at Zippos Circus. Katie joined Children with Cancer UK in March 2019, having previously worked for The Jermain Defoe Foundation and on multiple International Development projects. She helps to organise welfare events for children with cancer and their families, and supports on special events such as the Gala Ball and Opera at Syon Park. Hal joined Children with Cancer UK in June of 2018, having worked and volunteered for several small and large non-profit organisations. Hal looks after the charitable trusts and foundations who support our efforts to beat childhood cancer. His commitment to the organisations and individuals making our work possible is to ensure they are appropriately updated and remain well informed on the impact of their kind support. Shingi joined us in October 2016, bringing years of digital marketing and communications experience. He's responsible for developing forward-thinking social media, digital marketing and communications strategies, driving engagement and building brand awareness. Larry first joined the charity in 1990 as a volunteer. She arrived with many years of experience in design, publishing and marketing and has worked across many different areas of the charity. She is now responsible for making sure our website is informative and helpful. Rachel joined the team in March 2019, having last worked as Communications Officer for the Royal College of Pathologists. She is responsible for creating and developing digital content – such as video, webpages and blogs – to help explain the important work that Children with Cancer UK does. Mikaela joined the team in January 2019, having previously worked as a Marketing and Communications Officer for the Royal Hospital Chelsea. She is responsible for planning and delivering communications campaigns to a range of audiences to raise awareness of Children with Cancer UK’s lifesaving research and welfare projects and highlighting the need for support. Kelli joined the team in February 2019 and has a background in journalism and public relations. She is responsible for raising awareness of Children with Cancer UK's lifesaving research, welfare projects and fundraising campaigns through the media. 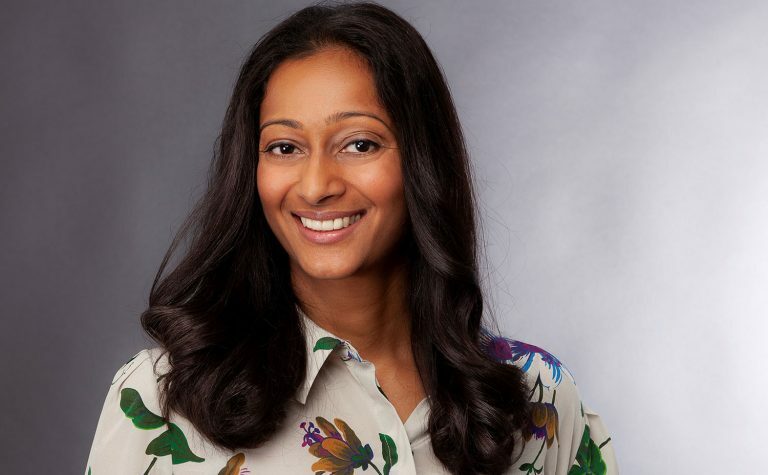 Sadia manages all aspects of Children with Cancer UK’s financial management including leading the production of statutory accounts, management accounts, budgeting and forecasting. She is part of the senior management team contributing to charity-wide decision making and leading the finance team. Elise joined in May 2016, she previously worked as an auditor at Deloitte where she completed her accountancy exams. She is responsible for handling the month end accounting process and preparing the management accounting pack. Fola joined us in 2008 having spent some time with the Rehabilitation for Addicted Prisoners Trust and the Camden Primary Care Trust. She is responsible for looking after our accounts and processing weekly payments. Andreea joined in April 2017 after working for many years in the private sector. She is responsible for our weekly banking processing. Nicola joined in April 2018 on a maternity leave contract. Her previous experience was within finance in Apple’s European Headquarters in Cork over an eight year period. Nicola worked in a number of different roles in Apple including Accounts Payable Team Lead and EMEIA Corporate Card Implementation specialist. Nicola relocated from Cork in Ireland to work with Children with Cancer UK in London. Her new role will involve completing the month end process; preparing management accounts and implementing financial software across the organisation. Ana joined in December 2018 after working 10 years in the private sector as Bank Reconciliations Specialist. Her new role will involve reconciling our accounts and assisting in the month end processes.